An Indian Navy personnel gestures on the deck of the newly built INS Kochi, a guided missile destroyer, during a media tour at the naval dockyard in Mumbai, India September 28, 2015. 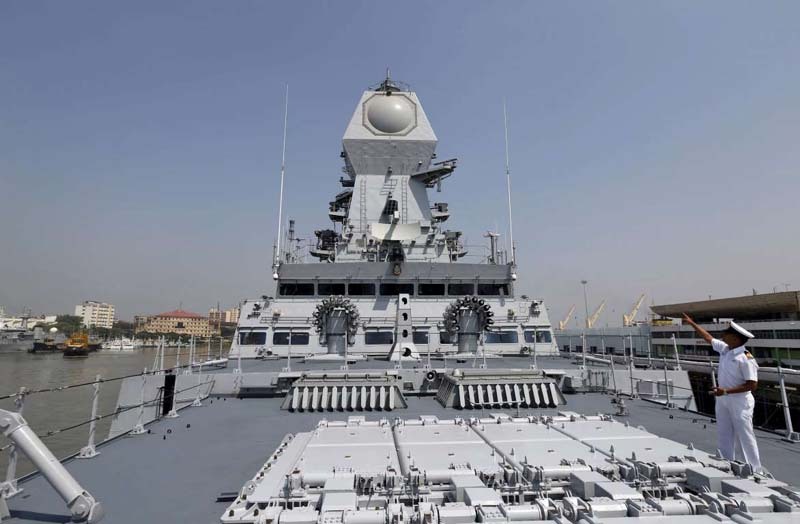 The warship is the second ship in the Indian Navy to have multi-function surveillance and threat alert radar to provide information about targets for a long-range surface-to-air missile system, according to a media release issued by the Indian Navy. The government is planning to set up a "surgical strike" force comprising the best soldiers drawn from the three branches of the military, a senior government official told NDTV. This special unit will conduct surprise precision strikes deep inside enemy territory, inflicting maximum damage in the shortest possible time and leave the battle area swiftly, similar to the operation carried out by the country's special forces on seven terrorist launch pads across the Line of Control in September 2016. "The government feels it needs a special group with enhanced capabilities, so a unit having the best from all the three (branches of the armed forces) is being created," said the official, who asked not to be named. The new commando group will have soldiers from the special forces of the Air Force, the Navy and the Army -- Garuds, Marcos and Paras, respectively. These battle-hardened soldiers whose skills are comparable to the US Navy Seals can operate in different terrain, from jungles and mountains to maritime environment. 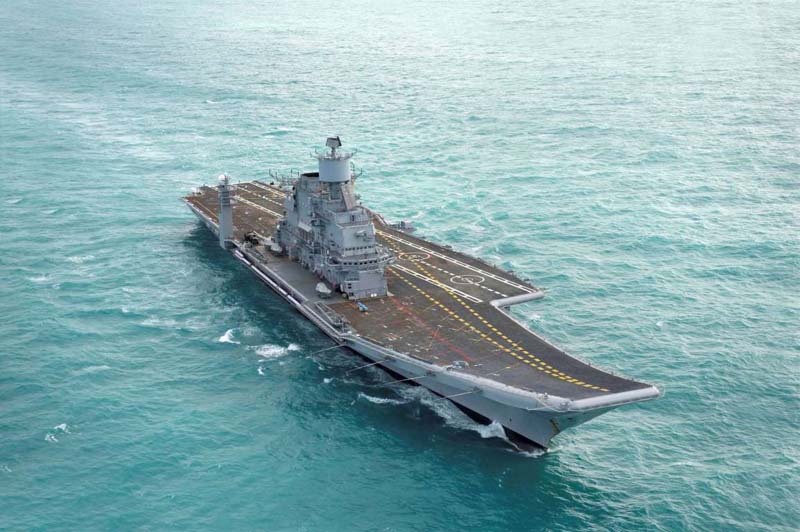 Aircraft carrier INS Vikramaditya joined the Indian Navy in 2013 and it helps the navy in projecting power well beyond India’s maritime borders. Vikramaditya carries the lethal MiG-29K supersonic fighter aircraft which can decimate any aerial threat to the ship and also destroy ground targets with equal ease. The new unit will come under the direct control of the Army chief, the official said. "It will have two groups -- planning and assault," he said. The government has chosen 96 members for the planning group, and 124 for the assault group. The assault group is further divided into two sub-units -- as is the practice in all special force units of the world -- namely, attack and support units to ensure smooth deployment and seamless coordination. The unit is the brainchild of National Security Adviser Ajit Doval, a senior officer of the National Security Council said. "A note pertaining to it has been sent to the cabinet committee," he said. "Threats from air and sea are multiplying every day, so in the times to come we need to be prepared, that's why this unit is being created," he said. The soldiers in the attack unit, apart from having top fighting skills, will know specialised field craft such as reading hi-tech maps and coordinating with air support, which the unit will eventually get. The support group will have soldiers who have local knowledge of the target area and can provide intelligence inputs to the assault unit. "It's going to a cohesive unit. Those who have expertise in CI-ops (counter-insurgency) will be engaged in this group," the official said. For now, the government plans to use any suitable infrastructure to maintain the new special force, whose name is not yet known. It will eventually allocate a separate budget for this group. Regular infiltration attempts and ceasefire violations by Pakistani forces are the other reasons why this force is being set up. "It's also a part of psychological warfare tactics to put hostile neighbours under stress," the official said.